Camo Coolies aren’t just made to keep your beer cold, they are a rite of passage in the country. Think power can’t be judged against the amount of camo gear you own? We could drum up a few hundred hunters, fishermen, and good ol’ boys who would dare to disagree. If you need to ask what you’d need camo coolies for, then you might not be meant to really understand. Still, we believe camo coolies are an item for nearly everyone. We’ll walk you through purchasing your own camo can coolie and where you will want to bring it. Don’t waste your time trying to figure out who sells the best camo coolie and just trust that you are already in the right place. 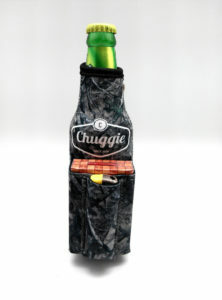 At Chuggie Co., our camo beer coolies aren’t your typical beer coolies made with cheap foam and overdone, cheesy quotes. Instead, they’re the product of smart design and quality construction. Built to last with 3 mm neoprene material and thick, sturdy stitching, our camo coolies will last for years, whether you’ve got them at the bottom of your hunting gear for months or you are pulling them out from your back pocket every day. If you think your camo coolie is nothing more than a great looking accessory to keep your beer cold, you need to reconsider. 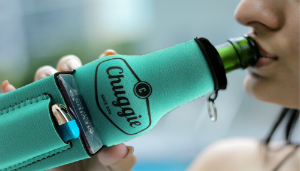 Chuggie Co.’s products are made with efficiency in mind, with two pockets to store your phone, cigarettes, lighter, or shotgun shells if it’s partridge season, while you are out on the lake or in the field. Yeah, we’ve heard our product is considered tacky to some, but we’re over it. We think all those naysayers are just a little jealous they didn’t come up with the idea first. Our camo coolie is strong enough to take out in the field, even if you’ll be hunting by foot. Keep your energy drink or soda chilled with our excellently crafted neoprene material and switch to beer when you come in for the night. Use the convenient pockets to store your .22 shells or skinning knife. Forget crushed cigarettes, and throw your smokes and lighter in the pockets and grab your favorite beer to accompany you during those long fishless hours in the canoe or at the river’s edge. You’ll be glad you’ve got something to relax with when the fish refuse to bite. Camo Can Or Bottle Coolies Perfect Wedding Gift? 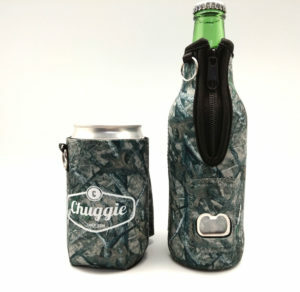 Chuggie Co.’s camo can coolies make the perfect gift for your groomsmen who’d rather die than be given a necktie for their attendance gift. Your friends aren’t the dressing up type, they are more the rowdy, camping, dirt biking, and outdoor-loving kind. They don’t want something they’ll never use. They want something they can enjoy time and time again. 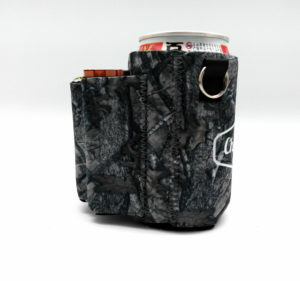 And, don’t knock us for tooting our own horn, but we think that our Camo Beer Coolie with Pockets is just the ticket. 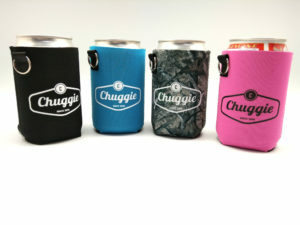 If your groomsmen would prefer, we here at Chuggie Co. also make our specialty beer can coolie in black, blue, and pink. Get bonus points from your future wife and make sure to purchase her squad a set of these fantastic camo coolies for the bachelorette party. This camo beer coolie also makes a great gift for the dad who has got everything. No more buying your pops a fishing lure year after year. No more watching your gifts sit on his dresser gathering dust. Like you, he’s the type of guy to go after what he wants; he doesn’t wait around for someone to buy him that new hat he’s been wanting or a new reel for his fishing pole. He goes out and buys exactly what he wants. So, get your dad something he’ll love but never knew he wanted. 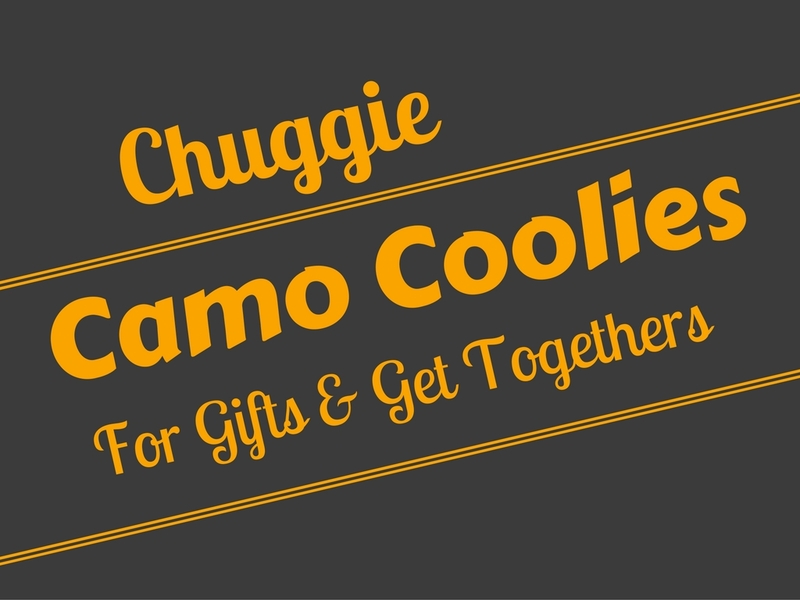 He’ll love Chuggie Co.’s product line and camo coolies. His friends will get a laugh out of his newest item for its serious ingenuity and straight-up country feel. And it won’t hurt that rather than knocking his smoking habit, you’re acknowledging it with a smile. Our camo coolies are made with your lifestyle in mind, we are here to get you out partying with your friends and showing off your latest find. Wherever we go, people love our coolies. From being told that our camo coolies are “100% redneck approved” to “a real game changer,” Chuggie Co.’s camo beer can coolies are convenient conversation starters that you won’t want to leave the house without. Need the perfect wedding gift for your groomsmen but your boys aren’t the standard tie clip and cuff link-wearing type? Maybe your group is more of a four-wheeling, river boating, and outdoor-loving group who’d prefer something they’ll actually use for a “thanks for showing up to the wedding” gift. What you’re really looking for might be cheap wedding coolies, and we’ve got plenty of ideas below. Coolies keep your beverage cold and your hands comfortable. They have become popular and convenient party companions on top of fun statement pieces. 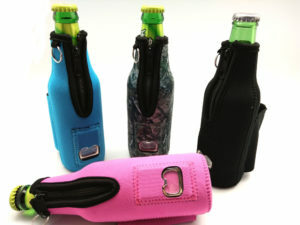 Our soft to the touch beer bottle coolie is made with sturdy, 3mm neoprene. 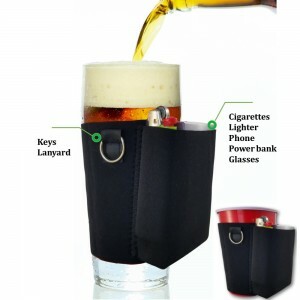 Its flexible shape makes this beer coolie great for taking it with you. Throw it in your glove box on the way to the campground or in your bag before you meet for your bachelor party. We’ve engineered a beer bottle coolie that never fails to impress. 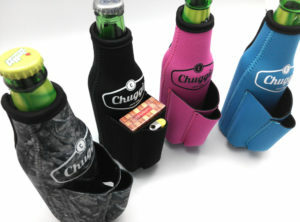 It keeps your hands comfortable while protecting your beer from turning warm as hell when you don’t feel like shotgunning it. Yeah, we’ve heard that our product is a little bit trashy, but we like to think that our beer can coolie’s are simply resourceful. Your groomsmen won’t need to worry about having full hands again; our coolie comes with two pockets made to keep their cigarettes, lighter, cellphone, or ID in one place. Your best man can rest assured that he won’t need to help you search for your phone because you have set it down in favor of your beer. From now on, keep your things together with one of our coolies’s and don’t risk a morning after headache and crushed cigarettes. Oh, did we mention that our beer coolie comes in some pretty decent color options? If your friends will want to make a statement with their coolie’s, we’ve got bright pink and blue varieties that totally pop. Otherwise, you can keep things formal with our black or camo option, and you’ll still have people asking about where they can find themselves a coolie product or two. The best thing about making our beer coolie your groomsmen’s wedding gift? It doesn’t have tacky, wedding themed print all over it, meaning they’ll actually want to use it over and over again. Think your groomsmen will be interested in getting a few of these cheap wedding cooliess? Head over to our shop to check the price. Alright, now that we’ve teased about those tacky wedding themed beer coolies found online, we’re going to let you know where to get the best ones. Hey, for many people the tacky factor is all a part of the appeal. Made with heat transfer vinyl, the beer bottle coolies from IHeartHoundstooth on Etsy.com are real quality items that keep your beer cold and your hands cozy. Completely customizable, these beer coolies are great for camp outings or festival season with your best friends. Get yourself a few brownie points and order a set for your future wife’s bridesmaids. Still, while you can purchase these cheap wedding coolies, they’re hardly made with the same durable precautions as the Chuggie Co. product line. 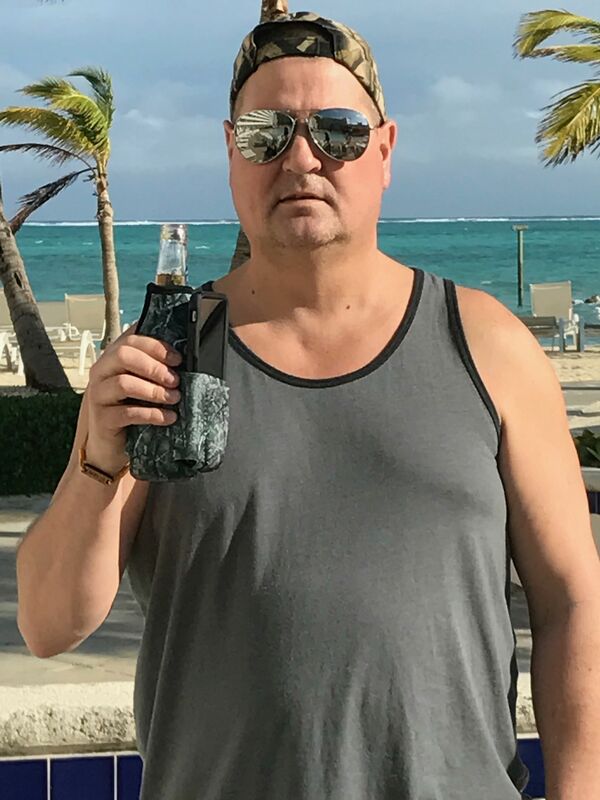 For a product that’s a great gift for your best man or for your rough and tumble crew, Craft Connection’s stainless steel bottle koozie might be perfect. A bit costly at $46.95, this product is made to outlast crappy foam beer coolies we have all gotten so accustomed to. This beer bottle coolie might not be ideal in terms of purchasing cheap wedding coolies, but it is certainly going to last your groomsmen longer than the other alternatives. This purchase adds just a bit more bang for your buck by attaching a bottle opener to the top clip, giving you all you and your groomsmen what you’ll need to keep the bachelor party or wedding after party rolling. Sure, you can still get your groomsmen that tie clip if you must but consider throwing in a little something extra. A well-made neoprene beer coolie is the perfect gift for letting your friends know that you appreciate them and that it’s time to start the party. Your best friends are well-rounded, fun-loving people. Show them by that you appreciate that part of them by getting them top of the line beer coolies at a reasonable price. At Chuggie, while we think our prices should stay cheap, we think that the quality of our products should never be. 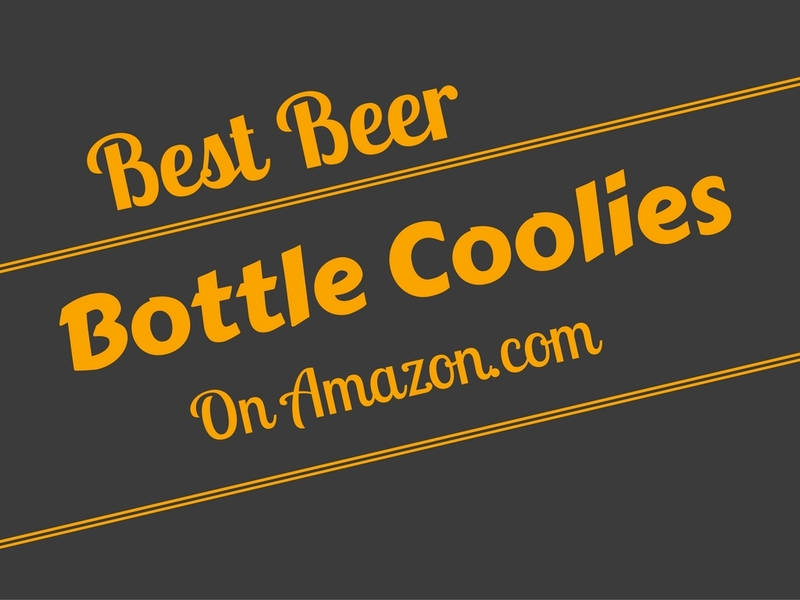 Looking for the best beer bottle coolies on the web? You’ve come to the right place. We’re breaking down the cream of the crop with the top five best beer bottle coolies available. 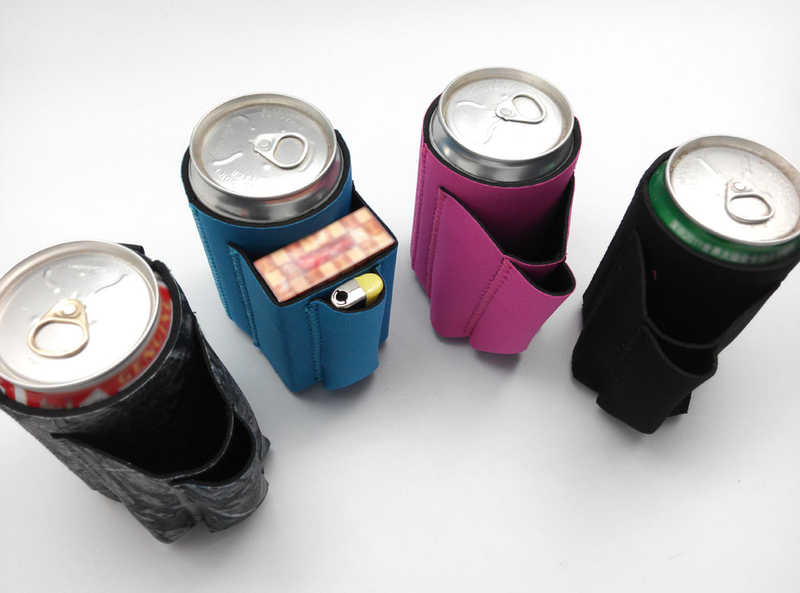 Beer coolies keep your beverage cold and your hands comfortable and have become popular convenient party companions and fun statement pieces. 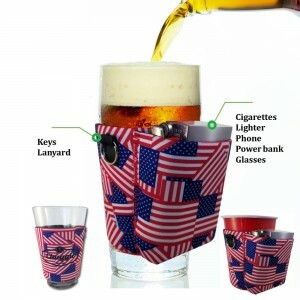 So, whether you’re looking for a birthday gift for your dad or fun gifts to give to your girls at your bachelorette party, you can’t go wrong with these best coolies from the web. gadget guru in your life—or yourself. 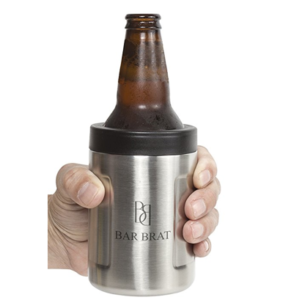 Bar Brat guarantees that their beer coolie will keep your beverage cold for hours and your hands-free from sweat. The downside? The smooth metal makes this beer coolie a bit hard to hold and show finger print smudges despite its nature to wick away sweat. It’s also a bit of a process getting the can in and out of the coolie and doubly hard to clean. Still, if keeping a beer cold for a few hours is an important part of your can coolie, this might be the best option for you. While it might not technically be a real beer coolie, this insulated true pint “glass” is the perfect companion for craft beer lovers out skiing or camping. 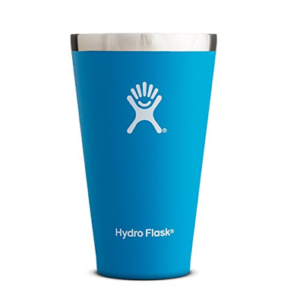 Coming in a variety of colors and made to stack for easy storage, the Hydro Flask Vacuum Insulated True Pint is eye catching and engineered for easy outdoor recreation. While this product is clearly good looking, some customers report feeling let down by its thin metal material that doesn’t insulate as well as the company claims it will. Complaints that it’s cheaply made with visible seams and no lid to stop spills from the wide mouth have also made customers think twice about their purchase. Feel like taking your next bachelor party or camping trip by storm? 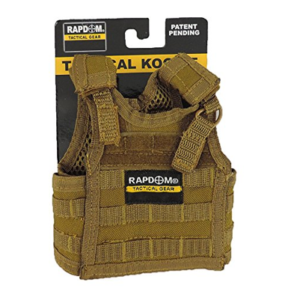 This tactical vest coolie is great for a laugh or getting conversations started. 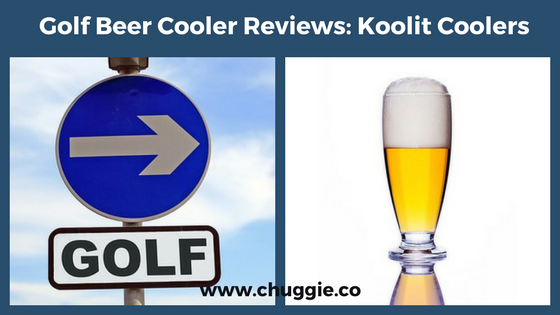 While it’s great for showing off, this beer can coolie isn’t just fun and games. It’s 6 inches tall and made from durable polyester that keeps your beer cold until you’re ready for another. Whether you’re a gun geek or a member of the military, this tactical vest koozie is like making a statement without speaking a single word. Downsides to this beer coolie? It might be a little too intimidating for some party-goers who aren’t sure why your beer needs what looks like a bullet-proof vest. Also, while the straps on this beer coolie are sturdy at first, they might be at risk of wearing out over time, especially with frequent beverage spills. No matter your political views you can’t undervalue the fun phrases that have come out of the presidential campaign slogan about returning our country to a time when things were “great.” Our favorite twist of this phrase? 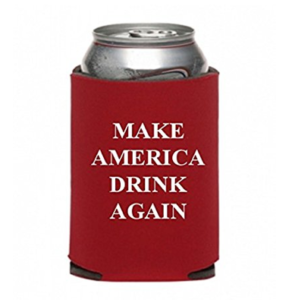 Obviously, “Make America Drink Again” takes the cake. This foam beer coolie will set you back $7.99 and ships swiftly on Amazon Prime. The downside to this beer coolie? While the company lists this product as being made with durable neoprene, it’s clearly foam once purchased. Alright, it’s our turn to brag a little about our handiwork. 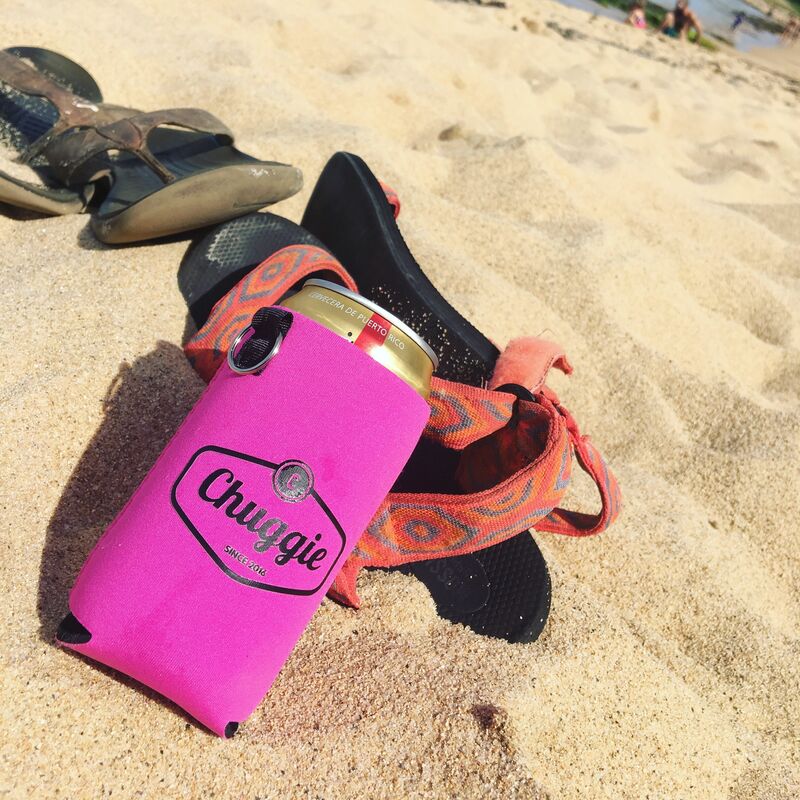 As the makers of the Beer Coolie with Cigarette and Lighter Holder it makes sense for us to toot our own horn, we’re ranking Chuggie’s specialty item as number one in this list of the best beer bottle koozies because it is absolutely true. Our soft yet sturdy neoprene is 3 mm in thickness, making it easy to throw in your back pocket or purse before you head out to meet friends at an outdoor concert or the middle of nowhere. 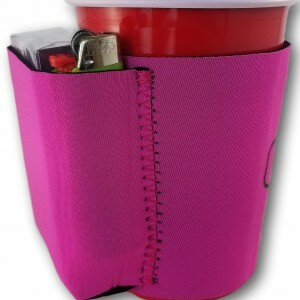 Never worry about having full hands again because our coolie comes with two pockets made to keep your cigarettes, lighter, lipstick, or phone perfectly safe and snug. 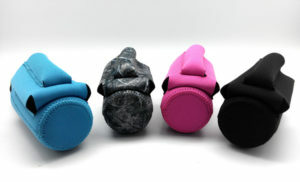 Oh, did we mention that our beer coolie comes in fantastic color options? Whether you want to stand out with our bright pink and blue colors or blend in with the black or camo option, you’ll still make quite a stir in the crowd. Our product is always a crowd favorite, so users beware: you’ll be letting all your friends know where they can buy their very own.